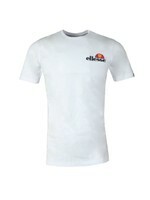 Ellesse Gentario Tee in White. 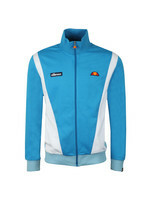 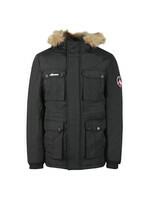 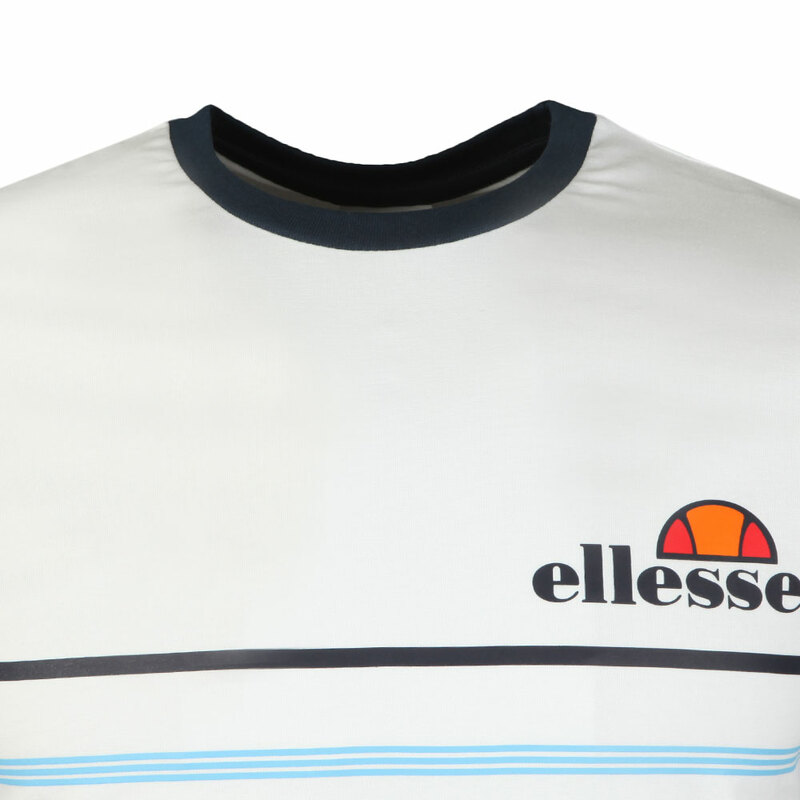 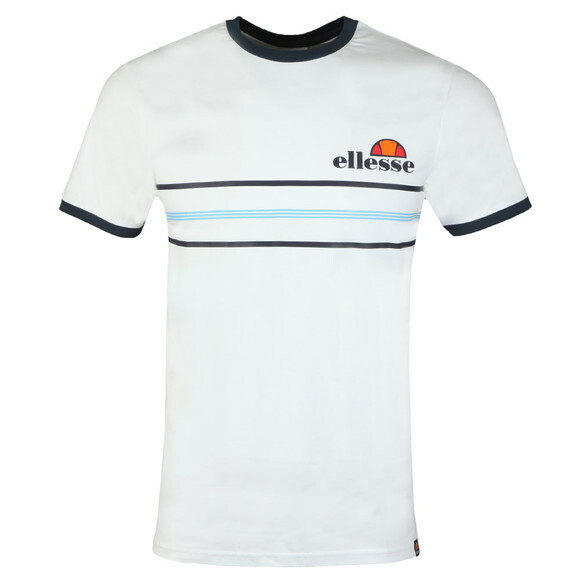 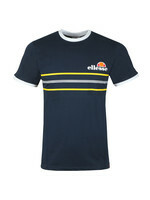 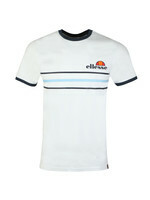 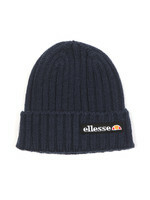 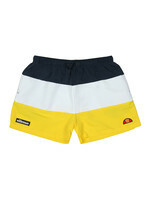 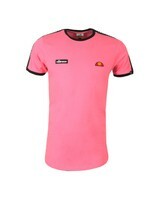 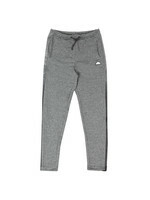 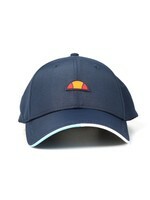 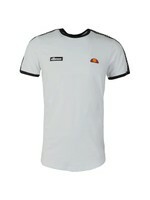 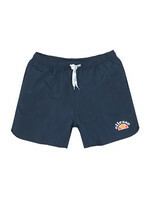 Given printed designs to the chest in the form of an Ellesse logo and contrast coloured stripes. 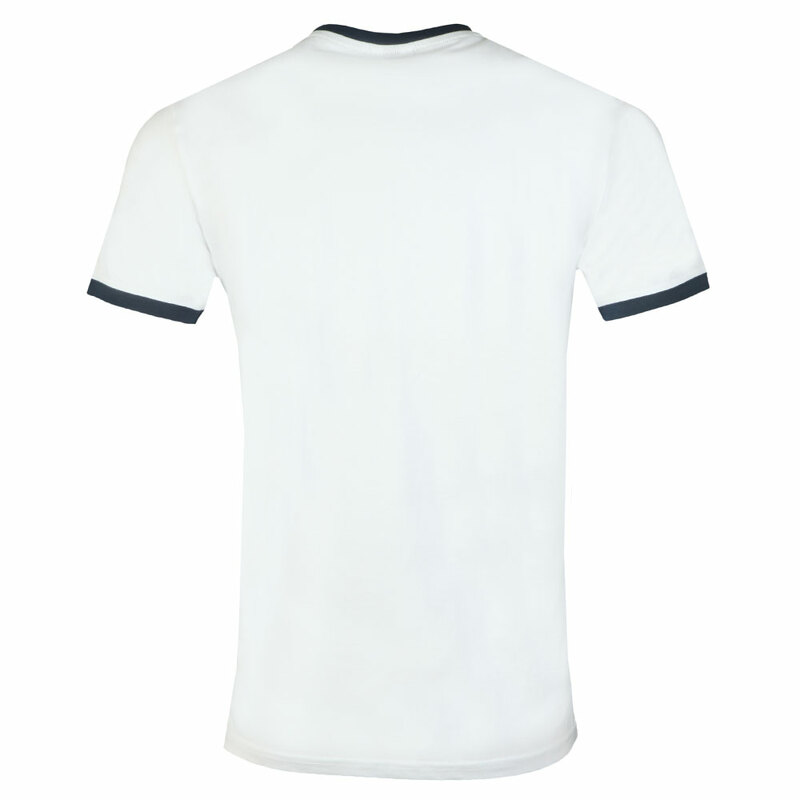 The collar and cuffs are also contrast coloured.